We've all grown cressheads before haven't we? Cress seeds & cotton wool in an egg shell with a painted face? 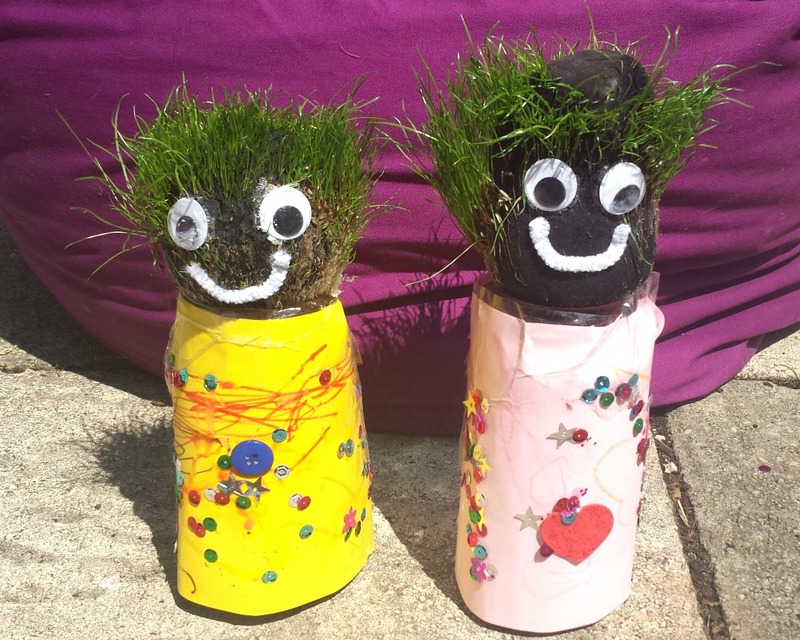 We wanted to do a little something different this time & we decided to make Grass People! They were so much fun to make & their grass hair grows so quickly! For One Grass Person - You Will Need: * Old Tights * Grass Seeds * Compost * Jars * Paper & Decorations! 1. Cut the leg off an old pair of tights and stretch it over the jar. 2. Pour in grass seeds into the tights and make sure they are right at the bottom and spread out. 3. Pop compost on top of the seeds to make a ball. 4. Pull up the tights from around the jar and tie a knot above the soil. So you should have a ball of soil. Make sure it's tied tightly. 5. Put water in the jar and pop the ball onto the jar, making sure the end of the tights is hanging into the water. 6. Give your little fella an outfit and a face! 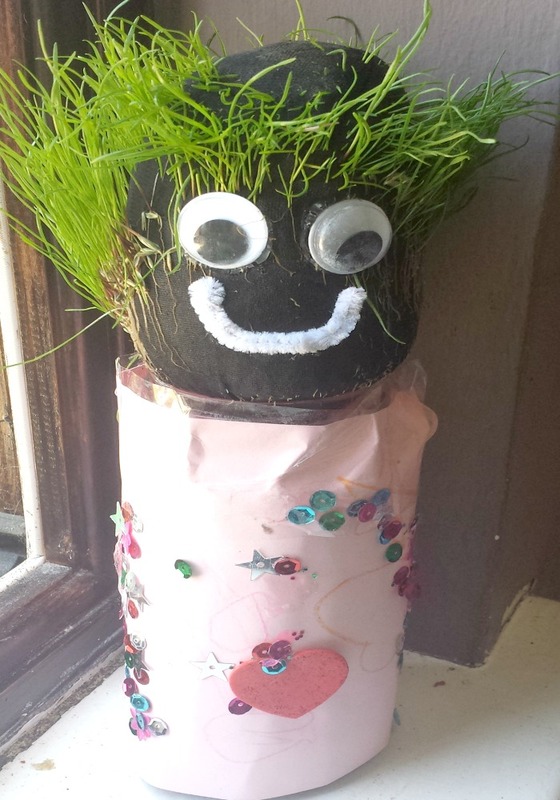 We wrapped some paper around the jar and decorated it, and we stuck googly eyes & a pipe cleaner mouth! 7. 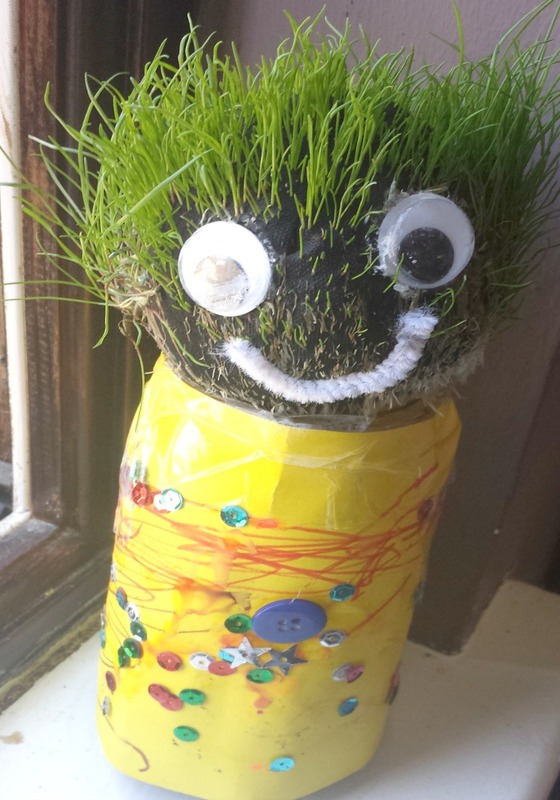 Pop your little grass person in a windowsill, and wait for his hair to grow! Don't forget to give him a hair cut now & then! 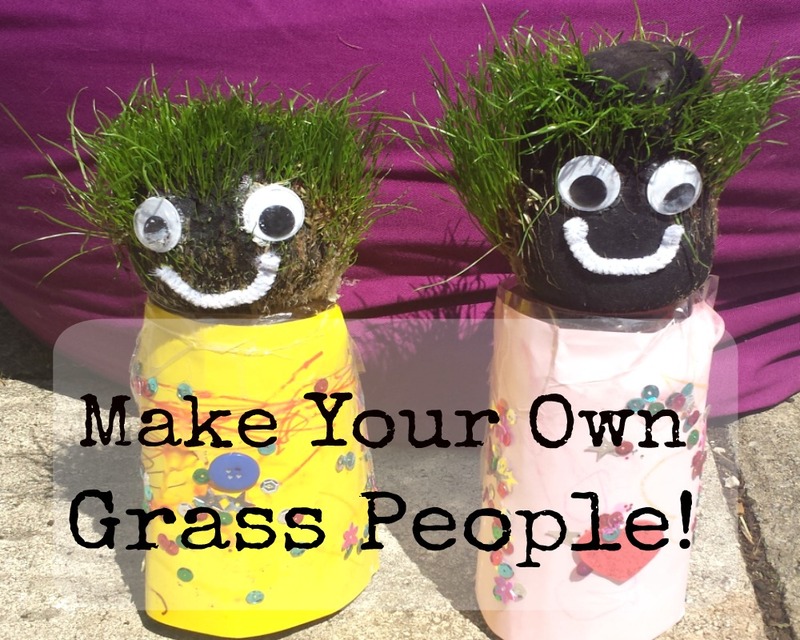 Will you be making your own grass people with your little ones?